We’ve built our name around a custom line of products — literally. 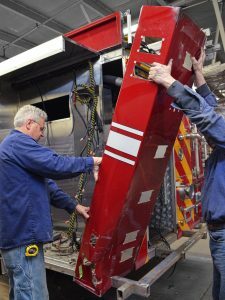 CustomFIRE trucks are built around a custom design, unique to each our our customers needs. But it is more than just the products we build, it is also the way we do business. We do everything custom, which is something that our customers will tell you makes all the difference. Remember, when your truck says custom, you know that it is both highly customized and built to a standard that is the core value of the CustomFIRE brand name. Design: Our engineers and design team work with your department to make sure the truck you need is the truck you get. It is these steps, during the design process, which ensure that you don’t just get the same truck anyone else might have, but one that can get the job done for your department. 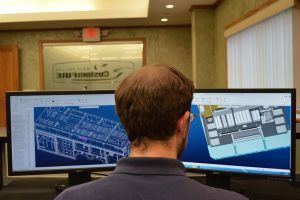 Fabrication: Not only do we employ a custom approach to how we design of each of our trucks, but we also implement custom fabrication techniques to how we build each product. It is both the large and small details that help our products stand out from the rest. 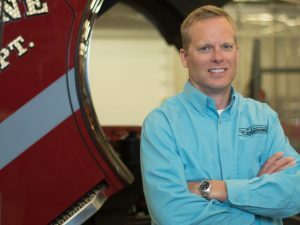 When you buy a CustomFIRE truck, you are buying a truck made specifically for you by the manufacturer. Our sales team works directly with our customers to build a custom quote for each product. This factory-direct approach to sales means that you get the best value for your money, at all times, during the entire process — from the initial consult, to final delivery. We work with you to make sure that the truck you buy from us is sold with the pride and backed by the manufacturer who built it for you. For more information, please contact our factory sales representatives – Wayde Kirvida and Scott Lumby. CustomFIRE takes care of you after each sale. We offer the same factory-direct approach to our serive as we do during the entire sales and manufacturing process. We know your truck, which is a huge advantage when it comes to maintenance, parts, refurbishment, or retro-fitting. We also work with a network of nationwide service departments, and parts providers.